....On Friday, i got news that Company Magazine wanted to feature my looks in their 'Week In Style' segment on their website. They wanted a description to go with 7 of my looks emailed to them asap so they could get it online straight away. I literally had to scribble something on my lunchbreak and hope i hadnt made any spelling mistakes! You can find the full feature Here , be sure to have yourselves a little look. I think you're really talented and manage to combine casual pieces with some edgier items to create very contemporary outfits! This is so lovely, I'd wear it if I were thinner. I love your style. Wooowww!!! 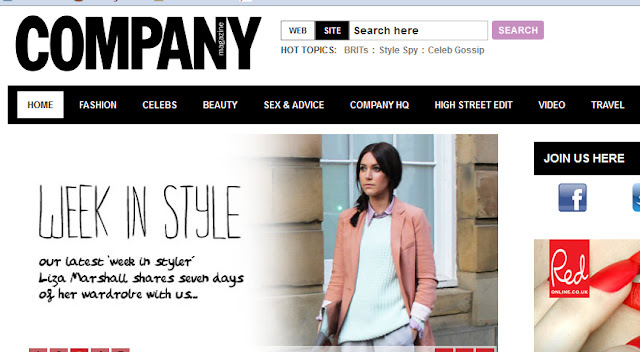 just discovered your blog and inmediatly get addicted to it!Love your style!